You are cordially invited to attend an Art Demonstration by Daniel S. Dahlstrom, oil painter. Dan’s technique involves utilizing either the brush, the painter’s knife or palette, or a combination of both. This creates richer color tones, and more depth to the applied paint on the canvas. 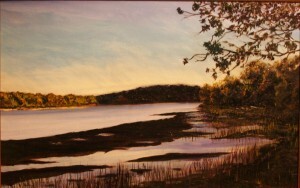 Dan is a Connecticut artist and captures the colors, atmosphere , nuances of light and shadow at dawn and dusk of the landscape onto his oil compositions of water and land. The viewer is invited to become part of this creative process, and transport themselves to the colors and tranquility of nature, and feel as if they just walked into the painting. Dan will be discussing his inspiration to become an artist, and what inspired him to produce the art on display at Galeria United. Part of Saturday’s program is his technique of using the artist’s knife (palette knife) and brushes, and how he likes to work and why. 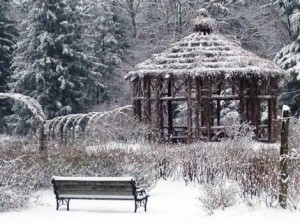 A piece that he has started is “Winter at Elizabeth Park”, and this will be worked on during the class. There also will be a Question and Answer Session–so please come with questions. Dan will be happy to work with you and answer your questions. 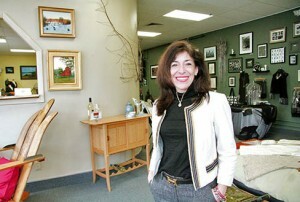 Bottom picture is of Tina, the owner of Galeria United, and a very special person. 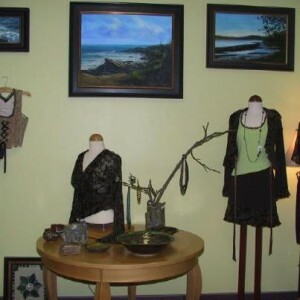 You will enjoy meeting her and seeing her unique and beautiful gallery. Dan and I hope to see you next Saturday..feel free to bring a friend or more! and he is also on facebook.